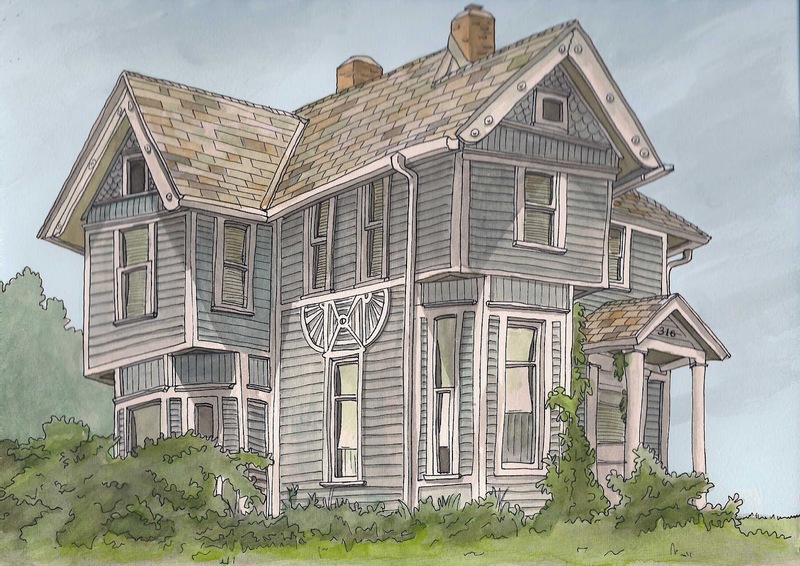 Urban Sketchers Seattle: Another house in Sidney, Iowa. Another house in Sidney, Iowa. Two doors down from the Draper house is Donna Ruth's place.